Just recently, celebrities James Reid and Nadine Lustre (popularly known as the on-and-off screen love team JaDine) celebrated their new Forever Love together with Jollibee, the nation’s number one fastfood brand. JaDine surprised their avid followers with the New Forever Love Fans Day held at the Music Hall of SM Mall of Asia in Pasay City. 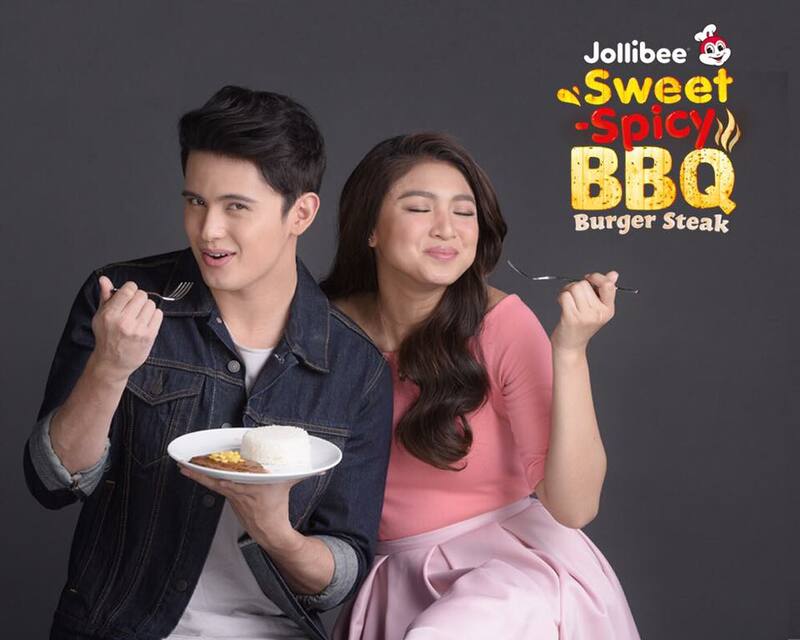 James and Nadine have recently discovered a new Forever Love with the all-new Jollibee Sweet-Spicy BBQ Burger Steak, with its 100% pure beef patty topped with a generous serving of special barbecue sauce and sweet corn kernels. The NEW Jollibee Sweet-Spicy BBQ Burger Steak is available for both one-piece solo at P50 and one-piece Value Meal at P55. We are also offering this new product with two-piece Solo at P80 and two-piece Value Meal at P85 (prices may vary according to store location). Fans of the loveteam also got the chance to meet and greet their favorite love team and were shown the TVC featuring JaDine as well as exclusive behind-the-scenes while shooting the TVC. JaDine performed special numbers for their fans like “Hanap-Hanap” and the couple’s rendition of “This Time”. They also eagerly participated in on-stage interviews and games that delivered maximum kilig for their fans. “The New Sweet-Spicy BBQ Steak Burger is just one of the product innovations we are launching this year,” said Francis E. Flores, Jollibee Global Chief Marketing Officer and Philippine Head of Marketing. “We always strive to develop products that represent the myriad of flavors that Pinoys, including James and Nadine, love”, he added. For more information on Jollibee’s latest product offerings, events and promotions, like facebook.com/Jollibee-Philippines, and follow @BestFriendJollibee on Instagram and @Jollibee on Twitter and Snapchat. Check out the event’s official hashtags #NewForeverLove and #SweetSpicyBBQLove to know more about what happened at the official JaDine’s Fans’ Day.